It’s the age-old question: what do you give someone who has everything? These days, most people in fortunate societies like ours really do have everything, and gifts that we choose are given with almost a sense of apology, and a sigh of relief if the gift is appreciated. It is a sad indictment on our society that it has become the norm to give a gift with the receipt so that it can be returned or exchanged, no questions asked. So what do you give someone who has everything? 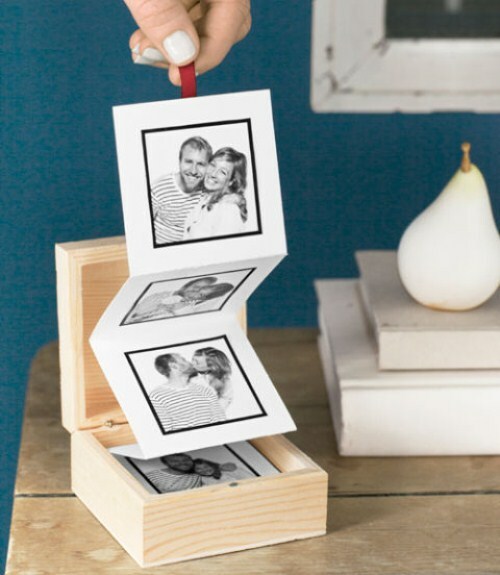 The answer is surprisingly simple: photo gifts. Someone may have more DVDs than they could ever watch and more personal electronic items that may could ever master, but no one would ever say that they have enough photos of their family and friends, their pets and their prized possessions, and memories forever captured of favourite holidays and hobbies enjoyed. 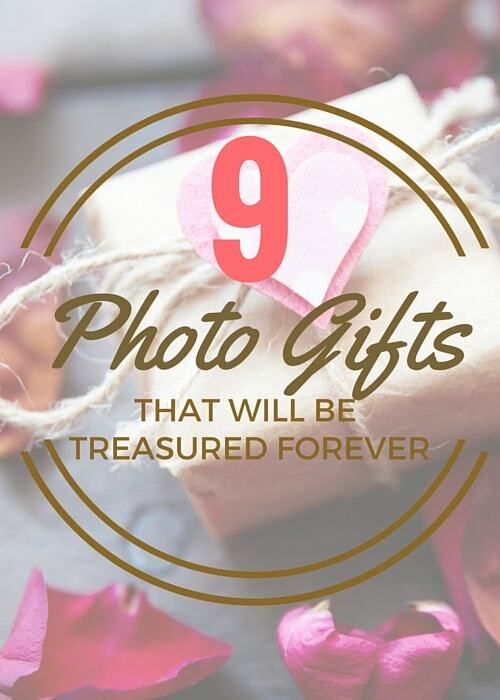 If you are looking for the perfect gift for someone special, consider these photo gift ideas for the truly unique gift that is guaranteed to be welcomed and treasured. 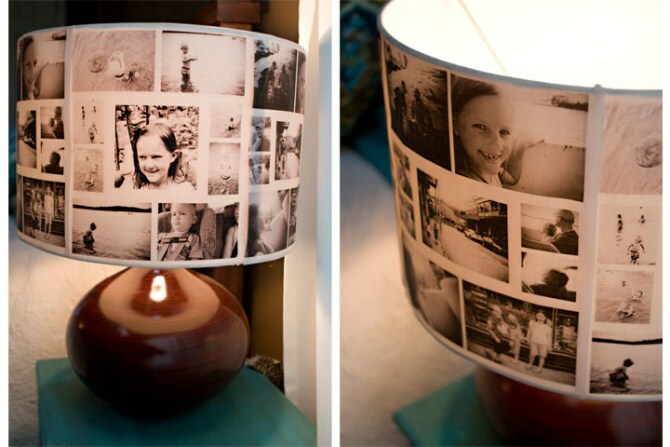 For some reason when we look at this DIY photo lampshade we think that it would be the perfect addition to a child’s bedroom. Certainly there would be other people who would appreciate it as a gift too, but imagine if you’re creating a gift for a child who is a little bit afraid of the dark but wanting to overcome their fears on their own: a low wattage globe inside this photo lampshade could cast friendly photos of the child’s family, friends and pets while creating a soothing nightlight effect. The photo collage is the simplest of all photo gifts: simply choose your layout, choose your photos, and we’ll take care of the rest. In lieu of a photo in one of the spaces, you can include a special word, such as the name of a beloved pet, or even include a much loved poem or the lyrics of a favourite song. We have to admit that this is the first DIY photo phone case tutorial we’ve seen that actually produced a decent result. We love that we can now personalise our phone cases without having to outsource the task, and that all we need to get started is a basic phone case with a clear back and rubber sides. Once you’ve started with this tutorial you’ll find it so quick and easy that you will be making customised phone cases by the box load. Given the simplicity and minimal financial outlay of this project, it becomes the perfect gift idea for when multiple gifts are needed. 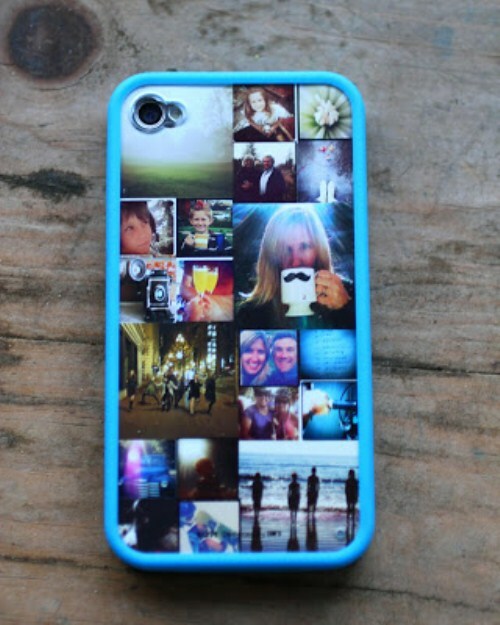 Imagine giving everyone at your next family Christmas their own customised photo phone case! When we talk about creating a canvas print, we’ll often tell you to “choose your favourite photo.” We do recognise, though, that sometimes it’s not so simple to choose one photo to encapsulating an entire event, a whole holiday, or a complicated family. Sometimes more than one photo is necessary to tell the full story, and the story is too important to combine all of the photos together into a single print photo collage. When that is the case, a canvas print wall display is the solution. Each of your photos will be given its chance to shine in a separate canvas print that functions just as well on its own, but really shines when part of the set. 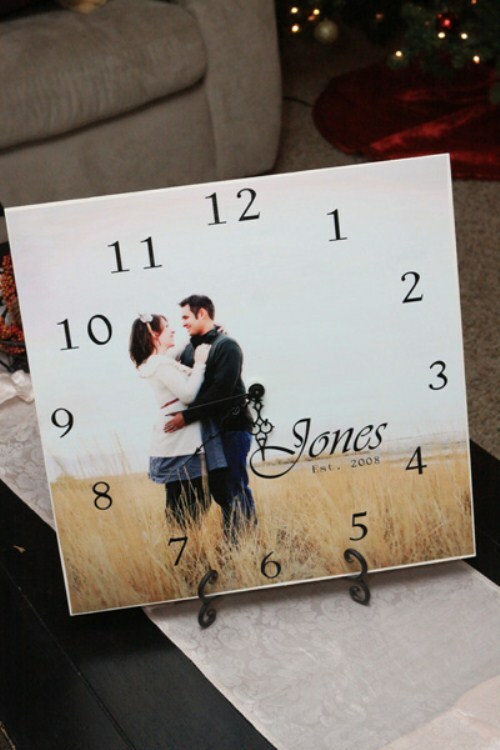 If you enjoy DIY and have a little bit of time on your hands, this photo clock is the perfect personalised gift for anyone. The tutorial is easy to follow and the good news is that the project doesn’t require a huge amount of technical skill: just some time and the desire to create a truly unique gift. This pullout photo album is super cute and the perfect gift for someone who would love to have a personalised photo gift on their work desk, but who doesn’t have the room to have a full photo on display, or for some reason it wouldn’t be appropriate for them to do so. The photos are hidden away inside a nondescript wooden box, yet can be quickly revealed at any moment. What’s the best photo you’ve ever taken? What’s the best photo you’ve ever seen? Have you ever paid hundreds of dollars to a photographer for the digital version of that one amazing photo that summed up your entire reason for the photo shoot? 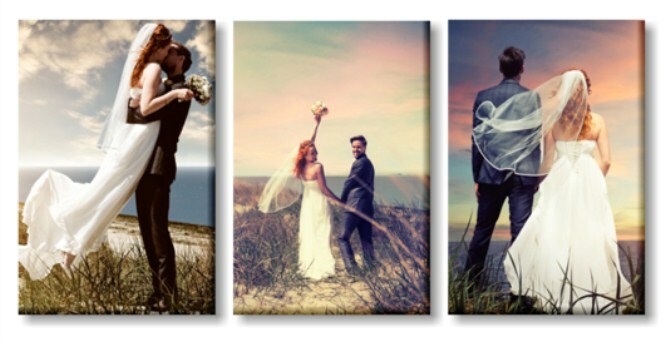 When that is the case, a split photo canvas is the solution, taking that one amazing photo and splitting at among several canvas panels which together tell the full story. It is one photo, multiple prints, and one amazing wall feature. If you’re looking for a unique gift and you have got your hands on that One Photo, don’t look any further than a split photo canvas. 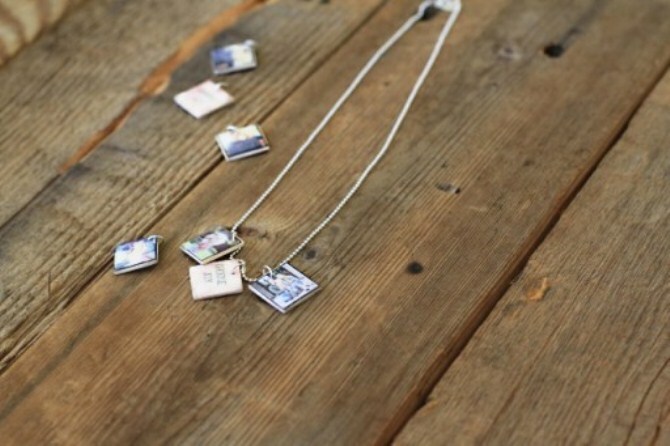 These photo charms are so cute that we just can’t stand it. Can you believe they’re made from popsicle sticks? The tutorial is simple to follow and the end result is fantastic. These would also be an excellent project to complete with children, allowing them to create inexpensive customised gifts for all their friends, or even a graduation gift for everyone in their class. 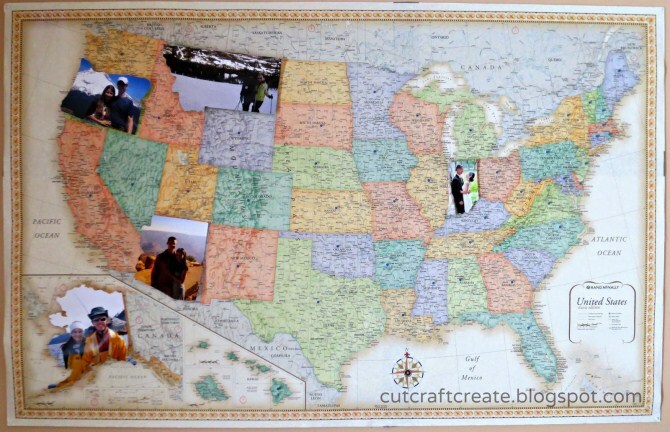 If you are creating a photo gift for someone with whom you have a travel history, this is an excellent way to make use of photos of your trips and turn them into a beautiful wall display that will hold everyone’s attention. Custom printed canvas or DIY gifts that include personal photos truly are the way to give a gift that you know will be welcomed and appreciated. Forget trawling through a shopping centre for a stock standard present for your loved one: plan in advance to create something with photos, and you may even find that you’ll save yourself some money in the process.